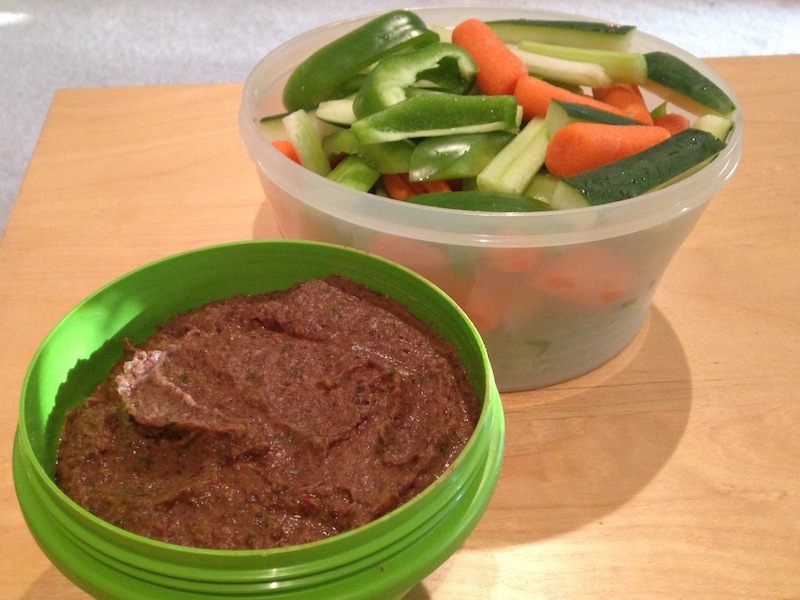 This 10-Minute Black Bean Dip Will Be A Touchdown At Your Next Football Party! | Keep It Up, David! 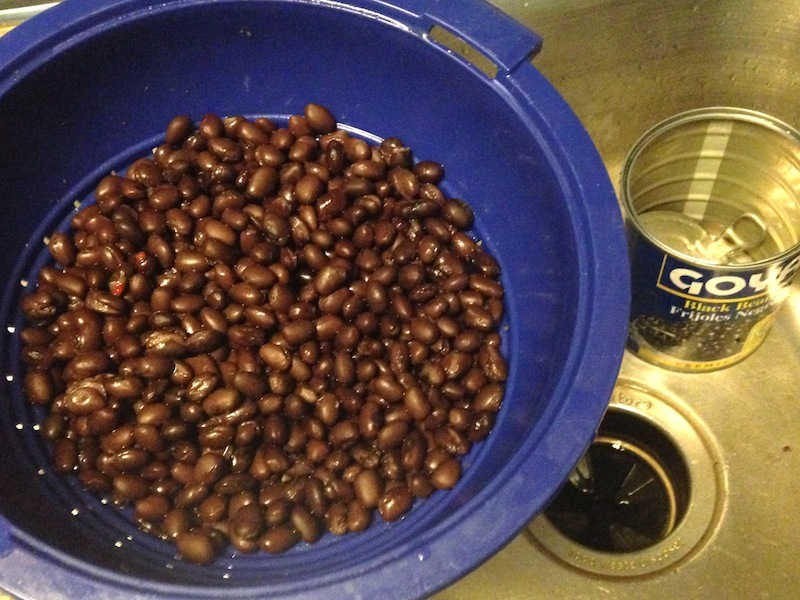 Not surprisingly, my 10-Minute Black Bean Dip recipe starts with… black beans. I used one big can (1 lb 13 ounces), or you could use two 15-ounce cans. Drain and rinse them really well. You don’t really need to chop any of it, because it’s all going in a blender. 1 handful of fresh cilantro, leaves and stems. Put it all in your blender, and blend until smooth. Note: this recipe doesn’t have a lot of liquid in it, so if you don’t have a very powerful blender, you may want to make it in a food processor. Confession time: I’m not a football fan, so I didn’t make this for a football party. I made it for board game night with a bunch of friends. But it was a hit nonetheless – lots of compliments! I brought along a big bowl of veggies: baby carrots, celery, cucumber, and green peppers. 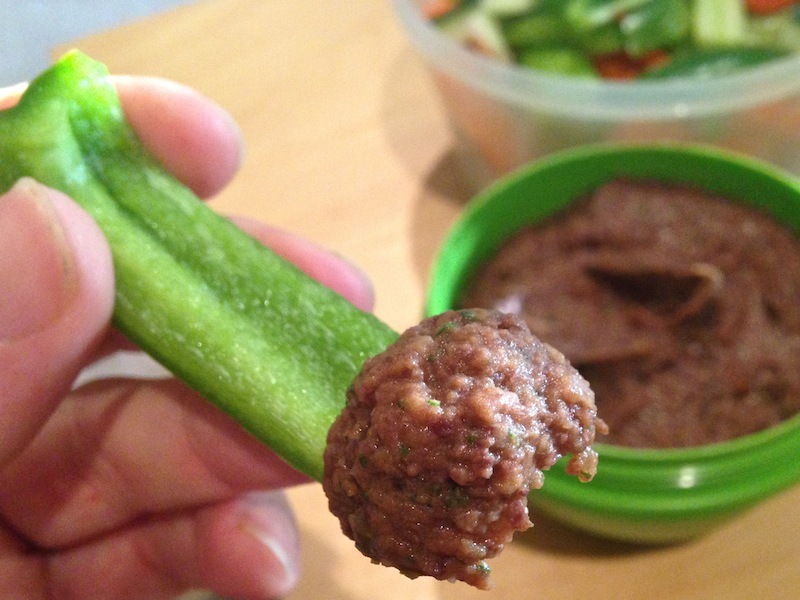 The dip was smooth, with lots of bright flavors and just a little bit of a kick from the spices and jalapeno. I also think it’d be a great spread on sandwiches, or a topping for burritos or tacos. I just like that you can pretty much eat as much of it as you want – especially if you eat with veggies! 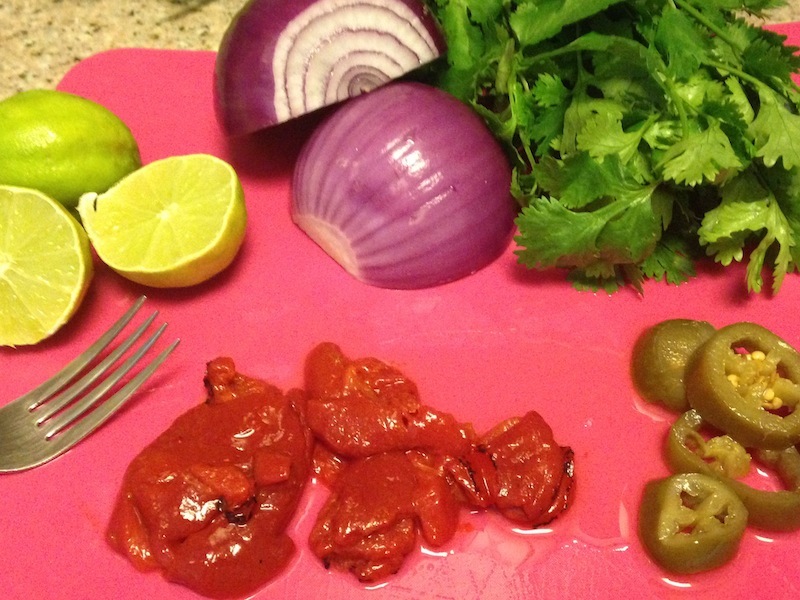 Check out LOTS MORE RECIPES on my RECIPES PAGE! This entry was posted on Thursday, October 1st, 2015 at 12:01 am and is filed under Uncategorized. You can follow any responses to this entry through the RSS 2.0 feed. You can leave a response, or trackback from your own site. 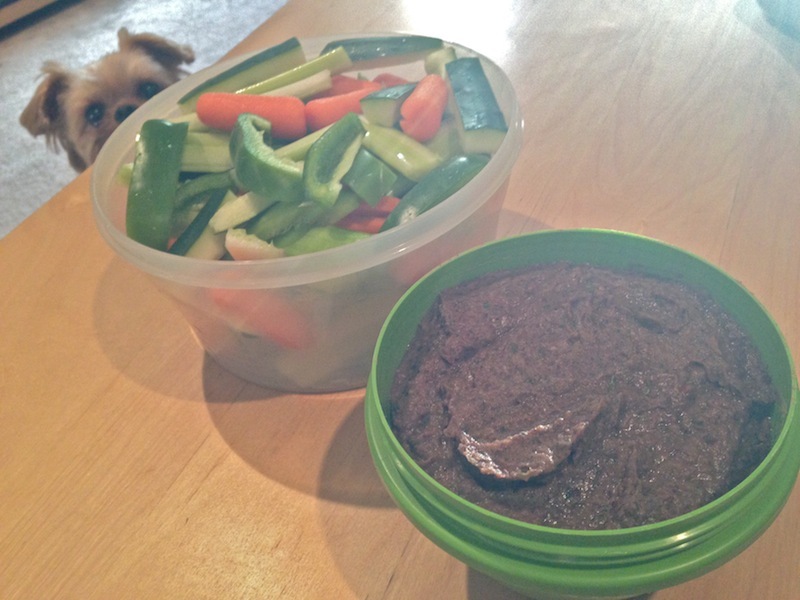 2 Responses to This 10-Minute Black Bean Dip Will Be A Touchdown At Your Next Football Party! Def going to try this soon. Looks delish.